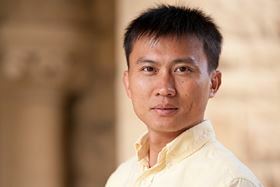 We are delighted to announce that the winner of the 2014 Nano Energy Award is Professor Yi Cui, Associate Professor at the Department of Materials Science and Engineering and Department of Chemistry, Stanford University, for “his outstanding contribution in development of nanomaterials and technologies for energy storage”. The Nano Energy Award is to reorganize a young and middle career scientist who has made exceptional contribution in the development of nanoenergy. Nano Energy Award will be presented at The First International Conference on Nanoenergy and Nanosystems (NENS2014) that will be held on December 8-10, 2014 in Beijing, China. The committee for selecting the winner consisting of Dr. Zhong Lin Wang (Editor-in-Chief and founding editor of Nano Energy journal, http://www.nanoscience.gatech.edu), Dr. Sang-Woo Kim (Associated Editor of Nano Energy), Dr. Peter Lund (Associated Editor of Nano Energy) and Dr. Jelena Petrovic (Publisher of Nano Energy) has selected the winner from many excellent nominations. Nano Energy (http://www.journals.elsevier.com/nano-energy) is a multidisciplinary, rapid-publication forum of original peer-reviewed contributions on the science and engineering of nanomaterials and nanodevices used in all forms of energy harvesting, conversion, storage, utilization and policy. Nano Energy provides a comprehensive coverage of this exciting and dynamic field which joins nanoscience and nanotechnology with energy science. The first impact factor received by Nano Energy is 10.2 for the year of 2013. Nanoenergy and Nanosystems 2014 (http://www.nens.cn) is the first international conference that will cover the important topics in nanoenergy, from energy conversion, storage, sensors, system integration to self-powered technology. It will present the most advanced research in the fields and a platform for communications among the scientists worldwide.